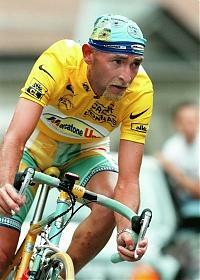 The Forum Cinema is showing “Pantani: Accidental Death of a Cyclist”. Here’s what the puff says: “Marco Pantani, the most flamboyant and popular cyclist of his era, won both the Tour de France and the Giro d’Italia in 1998 – a titanic feat of mental and physical endurance that no rider has achieved since. He was a hero to millions – the saviour of cycling following the doping scandals which threatened to destroy the sport. Less than six years later, aged just 34, he died alone in a cheap Italian hotel room. The film explores the startling truth behind one man’s descent from being among the finest athletes on earth to a tragic end in a sport riven by intrigue. Combining scintillating race archive with contemporary news footage, stylised reconstructions and interviews with Pantaini’s family, friends, colleagues and rivals, including Bradley Wiggins, Evgeni Berzin and Greg LeMond. The story of the greatest climber of his generation, man vs mountain, athlete vs the system, Marco Pantani vs himself!” It’s a British film, directed by James Erskine. The cinema is part of the Lings Forum Leisure Centre off Billing Brook Road at NN3 8JR. May I suggest we meet in the foyer at 7.45 p.m.? Last time (for the Armstrong film in April) the attendants locked any bikes in their office. Many bus services from the town centre stop in Billing Brook Road outside the Leisure Centre. There is a small car park but you’d probably be better parking in the large shopping centre car park on the other side of the road. The running time is 1 hr 36 mins. Afterwards, we could enjoy a drink at “The Bold Dragoon” in Weston Favell Village (48 High Street, NN3 3JW) where bikes can be left at the rear. It’s the nearest pub with good ales (e.g. Timothy Taylor’s) to the cinema. I have just finished recce’ing the routes for this Saturday’s family-friendly ride. Leaving the Canoe Centre at 9.30 in the morning, we should be out for around two hours, no more. I have devised a couple of options to keep us entertained depending on the group make-up on the day; both routes are comfortably below the 20-mile mark, being twelve miles and ten miles respectively. Both routes stick mainly to traffic-free cyclepaths and bridleways although we will be taking in the village of Hardingstone and, for those who opt for the longer route, the quiet lanes out to Rothersthorpe and Kislingbury. Some sections are gravel and/or dirt so leave the 23-section tyres at home unless you want a Roubaix type experience. The 35s I recce’d on were more than plush enough and so MTBs are strictly optional. If you are bringing the family, an idea of numbers would be helpful, but not essential. Likewise, if any of our more regular riders are likely to be joining us, I’d appreciate the help. This Saturday we’ll be heading out on a brisk(-ish) 30*-miler with plenty of ups and downs but nothing too long or sharp for a Saturday morning. We’ll head north from Moulton, duck across the Pitsford causeway then head across to Old before the long, gentle descent into Loddington, some hill work across to Broughton, Pytchley and Little Harrowden then a slightly flatter stretch back to the Beckworth Emporium (at 26 miles) for a comfort stop and an espresso (or drink of your choice). Then it’s straight back to Moulton. 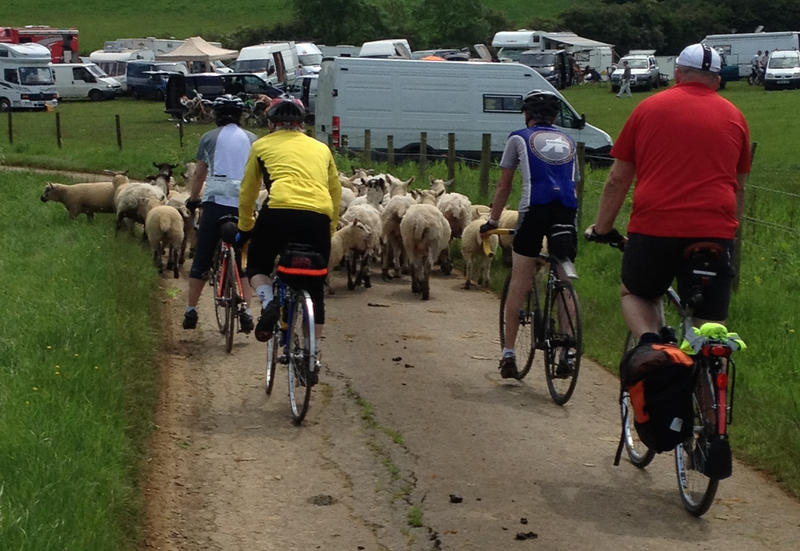 There is nothing overly taxing on the route but there is plenty of up and down to keep the legs turning. It’s all tarmac so I intend to be back home in time for lunch! *28 miles if we take the shortcut at Loddington, less another mile if we avoid Walgrave (which we may do if the roads are wet).